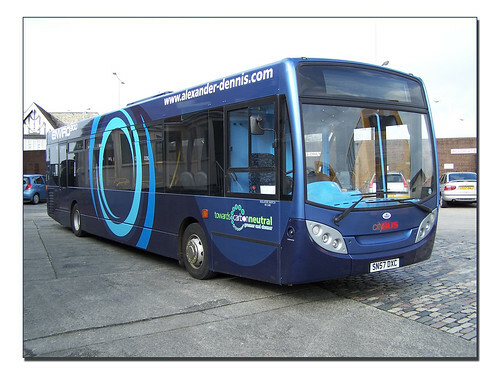 I am very grateful to Brian George for supplying these first photos of the new Alexander Dennis Enviro 300 currently on loan to Plymouth Citybus. 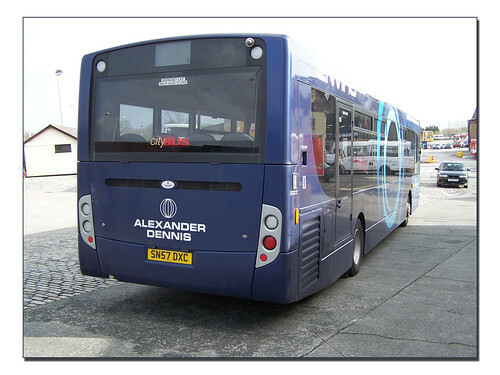 The Enviro 300 was never much of as looker in the first place, but I see Alexander Dennis have managed to make it look worse.. I'm sure I can't be the only one who finds those headlamp surrounds and the giant "chin" on the front really pug ugly on these Enviros. One thing they haven't changed though is the comically small shopping trolley sized wheels the Enviro 300 has to sit on.. The MAN chassis version looks like its robbed design styles from everyone else. 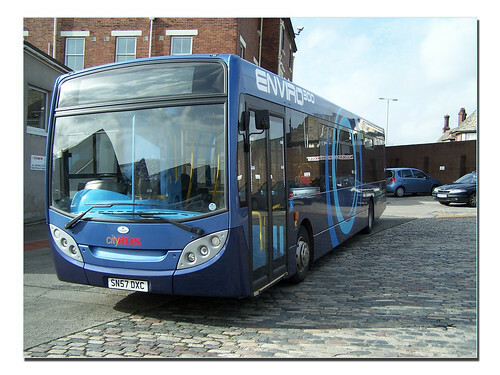 The back looks like a Wright, the side has the same window stylings as the East Lancs esteem.